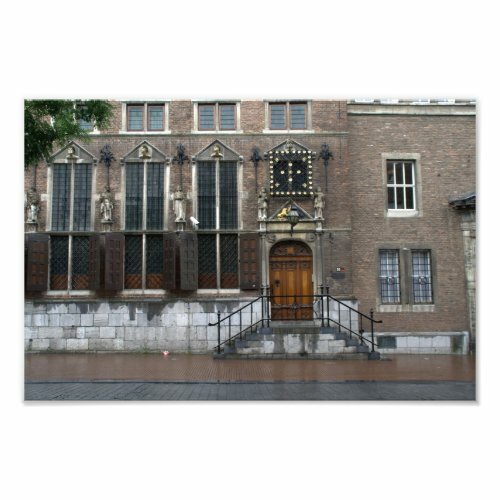 The town hall of Nijmegen, built in 1555. It was heavily damaged in the second world war, but later restored to its former glory. The photo shows the entrance and part of the façade.